Here's a better way to take matboard samples to show your clients. This case holds a fully loaded 18" display rack. 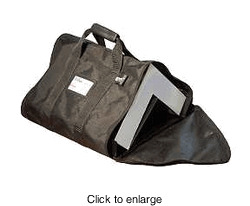 Keeps your samples protected from the weather while projecting a professional image. Zips open from either end. New! Sized for 4" matboard corners.